The traditional "hazing" rituals couples are put through have also often been getting out of control. Beijing's suggested answer is to try to standardise ceremonies to a more traditional and simple format. Meanwhile the tradition of playing pranks on the bride and groom - originally meant as a way of helping them relax on their big day - has often been getting out of hand. One week before, several bridesmaids were injured by broken glass when the groom's party tried to get into the bride's house by breaking the door with an axe. 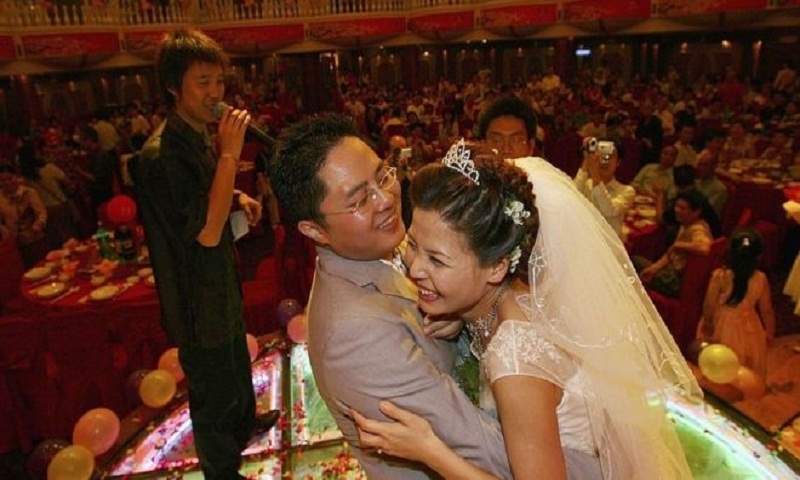 The ministry of civil affairs condemned all this as "extravagance and wastefulness" and instead proposed a clear "guidance" towards more "simple and moderate" weddings, China's Xinhua news agency said. Ceremonies should "integrate socialist values and Chinese traditional culture" to combat "negative social trends and wrong values" and instead set an example for society. Authorities would "set guidelines on the process of weddings and the amount of cash gifts," ministry official Yang Zongtao said in an interview on state TV broadcast on Sunday. It's not the first time China has tried to steer how exactly it wants its citizens to tie the knot. In 2016, the Communist Party issued a raft of guidelines that included how to celebrate your wedding in the spirit of the party's austerity drive.